1. Stay true to yourself. Throughout my teenage years, I’ve seen so many awesome people try to be what they thought others wanted them to be. A cookie cutter version of you will never be better than the real deal. Making friends is important, but you want them to like you for who you are, not who you’re pretending to be. Acting is for the stage, not real life. 2. Do unto others…Bullying is a huge problem in America. I’ve dealt with bullies myself and I’ve seen my friends and classmates deal with it too. For whatever reason, some people always try to make themselves appear bigger by making others feel small. If you see someone being bullied, stand up for them. And, always think before you speak. Sometimes words carelessly thrown around can having lasting consequences. 3. Keep up with schoolwork. I remember how in my freshman year, I was shocked with how much more homework I got; It was a good deal more than I was used to in middle school. Nonetheless, I urge you not to panic. It’s difficult keeping on top of everything, but it does teach you the valuable lesson of time management. Honestly, I’m bad about procrastination. I know that this school year I’d like to try to get better about it. Even though I always get everything finished, it’s ten times more stressful when I procrastinate than it would have been if I had started earlier. 4. Spend time with those who build you up. One of the most difficult things about high school is finding true friends. There are some people in high school (and life) who are more self-interested than others-interested. At times, you may deal with unwelcome drama that will make you question whether you have any true friends, but hang in there. Just because you’ve had friendship problems with some people, doesn’t mean that all of your friends are like that. True friends are sometimes rare, but they do exist. I’ve found some great friends in high school and I trust that you will (or already have) too. 5. Don’t let fear hold you back. Now, obviously, there are some things we should fear. If you fear doing something dangerous, illegal, or harmful, hold on to that fear. It’s there for your own protection. Nonetheless, sometimes fear can also hold us back from good things. Don’t let fear stop you from trying a new hobby, pursuing a dream, talking to new people, or speaking out about something you believe in. In my theater class, before every performance, I always get a little jittery. However, the feeling afterwards is incredible, and acting is really fun. If I had let fear stop me, I would have missed out on a whole lot. I’ve decided that my theme for this upcoming year, is going to be fearless. There are things happening this year that I’ve worked towards for a long time, and I’m not going going to let fear rob me of those things. I urge you to not let fear hold you back either. 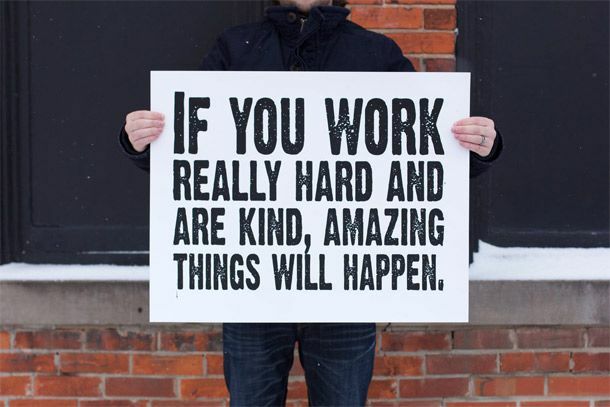 On a final note, always remember to trust God, be kind to others, stay true to yourself, and work hard. If you do those things, you can get through every change you’ll have to go through. 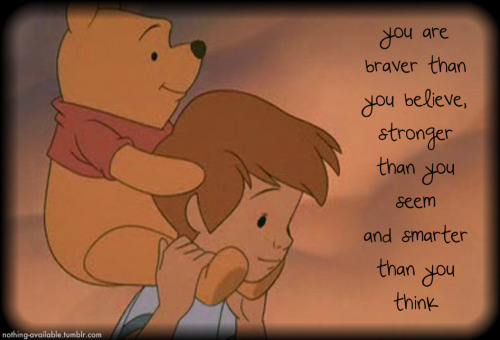 Inspiration from Winnie the Pooh. I’ve always loved this quote.